For the vast majority of your life you may be perfectly able to make decisions for yourself. However there may come a time, either through illness or advanced age, that you experience difficulties in doing things or making decisions for yourself. These kinds of circumstances present a number of challenges that people are often unsure how to deal with. At J Watson & Scott our experienced team of Private Client solicitors are on hand to help you pre-empt these kinds of situations, and discuss the options that are available to you. Here we provide an overview of Powers of Attorney: what they are and how they are created. A Power of Attorney is a mechanism that allows you, the ‘granter’ of power, to identify someone that you know to look after your best interests when you are no longer able to do so, making them your ‘attorney’. This is sometimes referred to as a ‘Continuing Power of Attorney’. It grants responsibility over someone else’s finances and/or their property. A Financial Power of Attorney should detail amongst other things, how your finances should be spent and whether or not your property should be sold, if the circumstances merit it. This is a document that grants responsibility for decisions relating to healthcare. Unlike a Financial Power of Attorney, this will only come into effect when it is established that you are unable to cater or your own welfare. This kind of document will normally contain details about where you should live if you suffer from any incapacity and any special decisions to be taken regarding medical treatment. It is also possible for a Power of Attorney to include both Welfare and Financial powers. Much will depend on your circumstances. What is involved in creating a Power of Attorney? It must be given to a member of the legal profession who will ensure that you understand what it is you are doing when you sign the document, and that you have not been under any pressure from another party in signing the document. If you are creating a Welfare Power of Attorney, you will need to detail what steps should be taken to identify you as needing your Attorney to adopt their role: what evidence of incapacity is needed e.g. medical reports? Who can become an Attorney? Technically anyone can become an Attorney. It is entirely your decision who you wish to appoint, although who you appoint can be influenced by the type of Power of Attorney that is being considered. It should be borne in mind that whoever you decide to appoint will be responsible for your financial and/or welfare needs. The Attorney should be someone that you know well and trust implicitly, to make decisions in your best interests. Furthermore it is incredibly important that you have full and frank discussions with your Attorney before a document is created: consider all possible situations that you may be faced with, such as illness or incapacity, and discuss what steps your prospective Attorney should take in those circumstances. Making the decision to create a Power of Attorney document is a very important one. It is wise to consider all the eventualities that you may encounter in the course of your life, and take steps to ensure that your best interests are protected. The prospect of discussing and creating a Power of Attorney can be quite daunting. If you have any questions on what the process involves, or want to take active steps now to plan for the future, please contact us. Our Hamilton office is convenient to Motherwell, Larkhall and areas beyond. 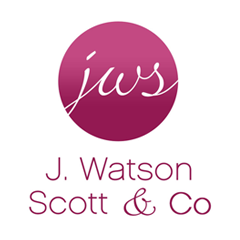 At J Watson Scott our specialist solicitors will work in partnership with you to ensure you are fully advised on what a Power of Attorney is, and how to go about creating one.